Two children are killed, their mother and the elder child are saved. 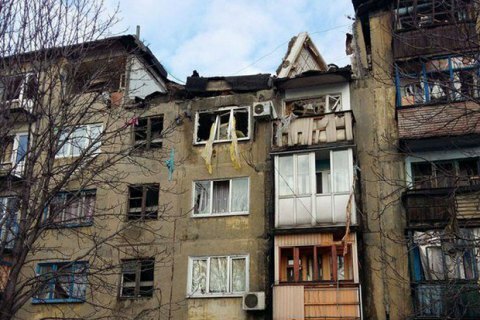 A household gas blast in the town of Ukrayinsk, Donetsk Region early on 15 January 2016 has left the mother and her three children trapped under the debris. Their flat in a multi-storeyed building was severely damaged. The rescuers have managed to save the woman, born 1983, and the eight-year girl from under the debris, who were admitted to hospital. Later they recovered the bodies of two children, born 2011 and 2015. Police said that the woman was drinking alcohol with her friend. When she went to a kitchen and lit up a match, the explosion took place. The entire building was evacuated.